The artwork of more than 30 Seniors College students will be showcased at The Guild, from May 2nd to 13th, with the opening reception on Wednesday, May 2nd from 7-9pm. There will be refreshments and everyone is welcome! This is the sixth year for this group show, with some old favorites exhibiting and lots of new faces as well. The participants say they are at “a time in their lives” when work and family commitments are reduced. They are thrilled to have the time to put into making art! The show will feature works from all the art classes including watercolor, acrylic, pastel, drawings, and multimedia. The Seniors College is open to anyone over 50 and is a great opportunity to learn something new in a wide variety of topics. The camaraderie among the students adds a lot to the enjoyment! The exhibit will be open for viewing to the public between Gallery hours. Created by six alumni of Quebec City Circus School in 2011, Flip FabriQue adopts a creative and collaborative approach to highlight each performer’s strengths, and create pure magic on stage. Their astonishing, lively show Catch Me will leave you smiling from ear to ear. This cirque show incorporates acrobatics, hula hoops, trampolines and lots of humour, creating a spellbinding, crowd-pleasing and incredibly fun performance. La compagnie fut créée en 2011 par des finissants de l’école de Cirque de Québec. La compagnie adopte une approche de création collaborative développée entièrement par ses artistes et leur metteur en scène. Cette approche a pour but de mettre en lumière toutes les forces et les qualités propres à chaque artiste – ce qui crée une ambiance réellement magique sur scène. Acrobaties, jonglerie, hula hoop, voltige aérienne, trampoline et autres fantaisies sont au programme. « À travers une panoplie de disciplines, on va essayer de donner du bonheur », a commenté Bruno Gagnon, qui est également directeur général et directeur artistique du collectif. Il est possible d’en savoir davantage en visitant le http://www.flipfabrique.com. 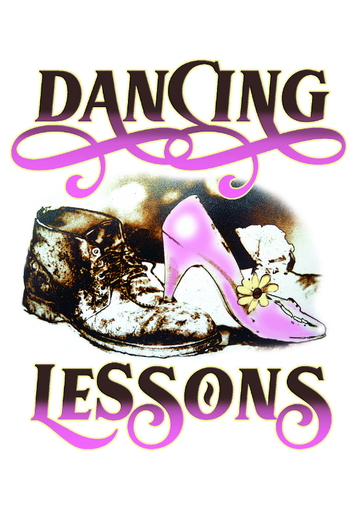 Make plans to see the Canadian premiere of Mark St. Germain’s hit comedy Dancing Lessons at Victoria Playhouse this summer! Starring Melissa Kramer and Jeff Schissler, Dancing Lessons is a touching and entertaining romantic comedy that shoots straight for the heart. Watermark’s 2018 acting company is a great mix of professional actors from PEI, actors with family and professional history on the Island, and actors from across the country. Joining already announced acting company members Brielle Ansems and Robert Tsonos will be husband and wife acting team Geoffrey Pounsett and Madeleine Donohue, Paul Cowling, Richard Beaune, and local actor Jacob Hemphill. A twenty-year veteran of Canadian theatre, Toronto based actor Geoffrey Pounsett has performed in theatres across the country, has been a company member with both the Stratford and Charlottetown Festivals (“Fire” in 2002), and has appeared in several productions for Canadian Stage, Factory and Tarragon Theatres in Toronto. Madeleine Donahue appeared in “Midnight Madness” and “Old Wives’ Tales” at the Port Stanley Festival Theatre, preceded by “Deceitful Above All Things” for the Storefront Theatre in Toronto. Other recent work includes “A Midsummer Night’s Dream” with the Humber River Shakespeare Company, and five seasons with Driftwood Theatre Group. This will be actor Paul Cowling’s first time visiting PEI, but he has some history on the Island – his mother’s family settled in Hunter River when they emigrated from Scotland many years ago. Paul has appeared on stage throughout Western Canada in such shows as “I’ll Be Back Before Midnight”, “9 to 5 The Musical”, “Hamlet”, “The Cripple of Inishmaan”, and many others. 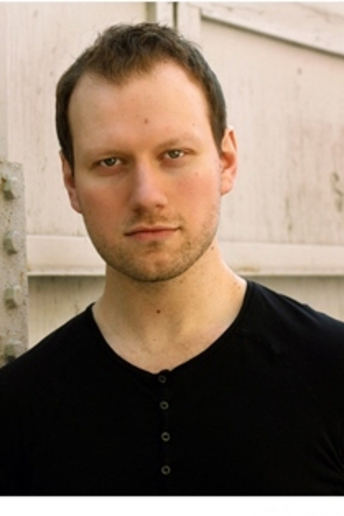 Richard Beaune returns to the Watermark after appearing as Friar Laurence in the company’s 2015 production of “Romeo & Juliet”. He has performed in every province and territory across Canada in both official languages over a 30 year career. His work has ranged from Shakespeare (30 professional productions and counting) to new works of physical theatre and all stops in between. Local PEI actor Jacob Hemphill is in his 3rd year of studying Theatre and Opera Performance at Dalhousie University, in Halifax. His acting credits include “The Sound of Music”, “Peter Pan”, “The Wizard of Oz” (Confederation Centre); “My Fair Lady” (The Grand Theatre); and “The Magic Flute” (Dalhousie Arts Centre). All of these fine actors will be appearing in “Dial M For Murder” by Frederick Knott and “A Moon For The Misbegotten” by Eugene O’Neill throughout the summer months as well as taking part in the Watermark Play Reading series and most will teach acting classes in the company’s Teenage Acting Conservatory. A busy summer for all! Legends On Tour brings you some of the world’s most exciting performers live on stage. Accompanied by the “Rockin’ Royals Band”, this show will feature the most incredible tributes to Roy Orbison, Connie Francis, Tom Jones, and Elvis Presley. Performing as Roy Orbison, Jesse Aron, who hails from the state of Wisconsin, is recognized as one of USA’s top Roy Orbison tribute performers. With his effortless voice and uncanny resemblance to Orbison, his portrayal to ‘The Big O’ will leave you mesmerized. Jesse will take you back in time with such hits as ‘Crying’, ‘Pretty Woman’, ‘Only the Lonely’, ‘Running Scared’, and many more of your favourites. With such hits as ‘It’s Not Unusual’, ‘What’s New Pussycat’, and ’Delilah’, Lou Nelson from Ottawa, Ontario is bringing his exciting tribute to the one and only Sir Tom Jones. Nelson’s tribute to the music icon is much more than a look-alike; his attention to detail is unmatched. The mannerisms, the accent, the antics, and especially his powerful voice, are all synonymous with Tom Jones. Canada’s tribute queen Amberley Beatty returns to the stage with an incredible performance paying tribute to American pop singing icon, Connie Francis. Idolized by millions of fans around the world, Francis was best known for her hits such as ’Where the Boys Are’, ‘Who’s Sorry Now’, ‘Your Cheatin’ Heart’, ‘Stupid Cupid’, and ‘Lipstick on Your Collar’. Pete Paquette is a world-class Elvis tribute artist who is in great demand and is highly regarded as one of the top Elvis performers in the business today. Known for captivating his audiences through his incredible voice, high energy, charisma, and playful spontaneity with his audiences, this multi-award winning performer will leave you wanting more.